Located in Ethiopia’s Gondar Region, Fasil Ghebbi is a massive fortress city that was ruled by the Ethiopian emperor Fasilides and those that replaced him. The city was established as a permanent capital in 1636 and was extremely important until its slow decline at the end of the 1700s, though it served as the center of the Ethiopian government until 1864. The wall that surrounds it is 900 meters long, which gave impressive views to anybody that approached. 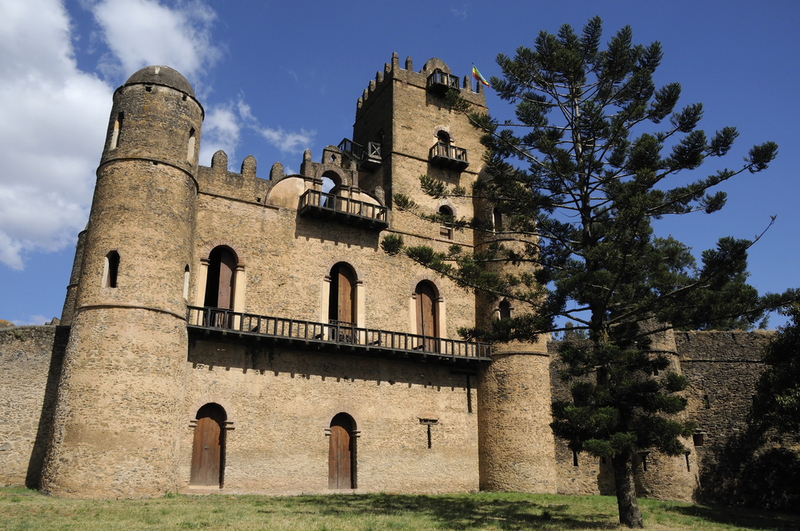 Inside, there are over twenty palaces, churches, monasteries and buildings, including the massive Fasilides Palace (often called Gondar Castle). The entire area is a UNESCO World Heritage Site, and the organization has done quite a bit of restoration to many of the buildings. The size and scope make it one of the largest historical sites in all of Africa. Here is a captivating photo essay through the fortress city of Fasil Ghebbi, Ethiopia.